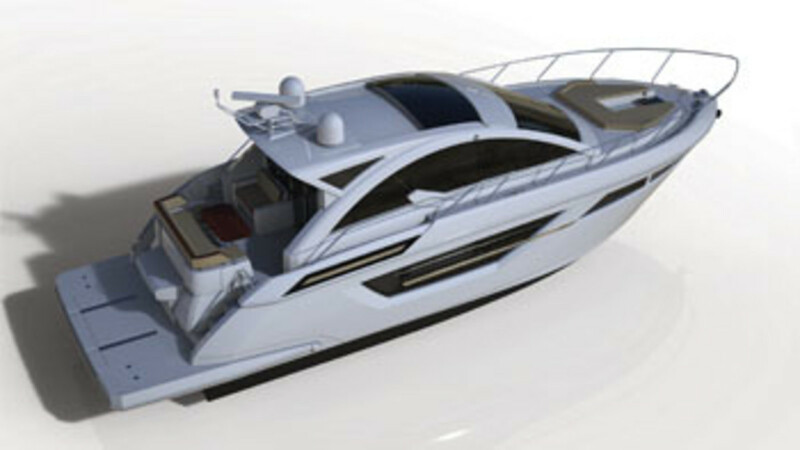 The 50 Cantius from Cruisers Yachts replaces the 48 Cantius — the first model in the line, introduced seven years ago. 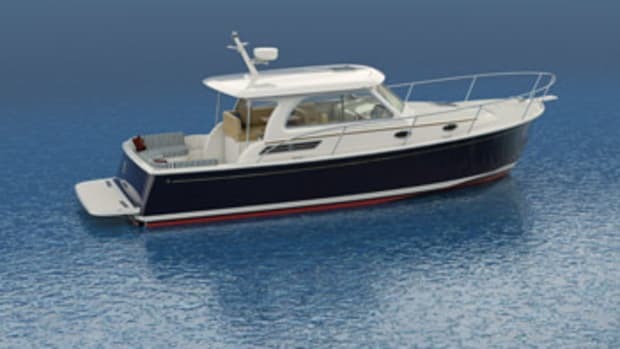 The Wisconsin builder says this is an improved second-generation express coupe with a third stateroom, a galley-up saloon and a larger cockpit. 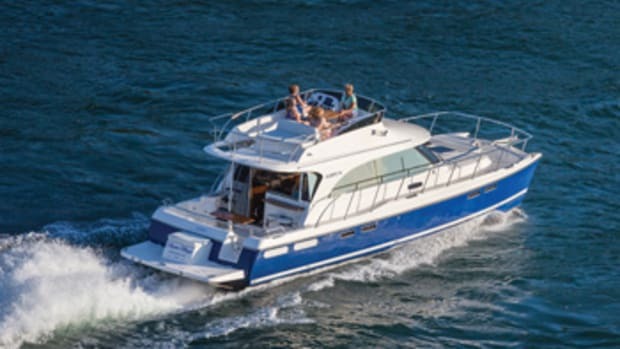 “With a yacht like this, overnight accommodations and daytime entertaining are very important, and the changes we’ve made really make the 50 Cantius more versatile and user-friendly in these areas,” says director of marketing Matt VanGrunsven. 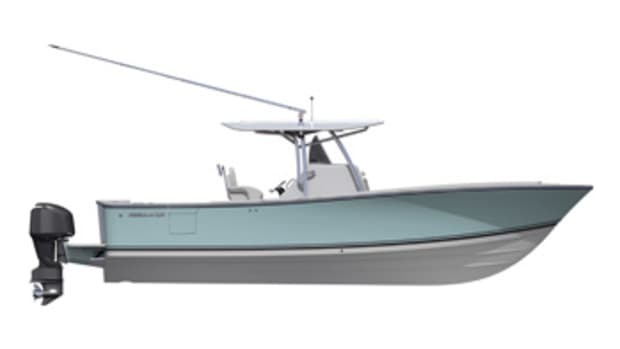 Cruisers freed up cockpit space by moving the wet bar/grill to the transom. “The chef prepares meals while standing on the swim platform, facing a cockpit that can seat six to eight comfortably,” VanGrunsven says. The cockpit has a U-shaped settee with a table and an aft-facing two-person lounge. 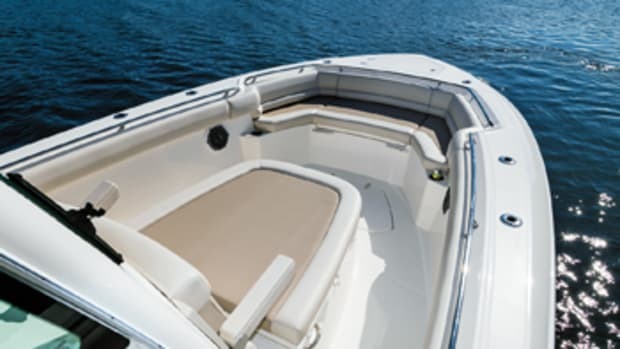 A dinghy can be mounted on the swim platform, and water toys, such as kayaks and paddleboards, can be secured to the hardtop. A U-shaped seating area on the foredeck converts to a twin chaise lounge. Accessed through a sliding glass door, the deckhouse consists of four areas that share one big space. 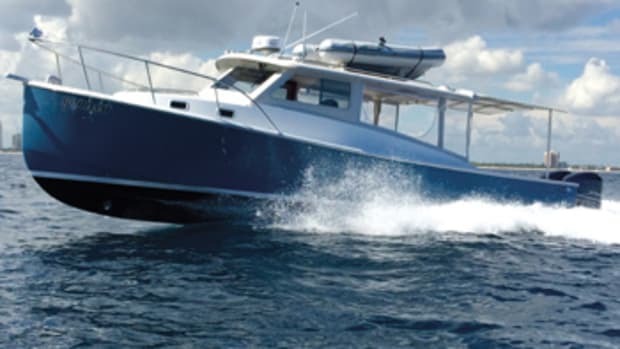 On the port side is an aft galley and a forward dinette with seating for four to six. 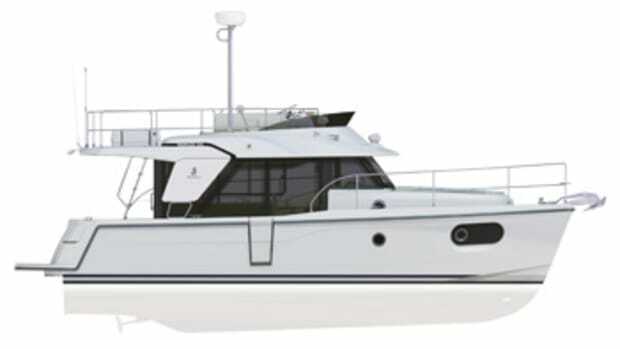 A two-seat helm station and an aft lounge opposite the galley fill out the starboard side. Accommodations below include a full-beam amidships master stateroom with a private head and separate shower. The forward guest stateroom has an island berth with private access to the second head. An optional third stateroom with two bunks is available in lieu of an entertainment/lounge area. 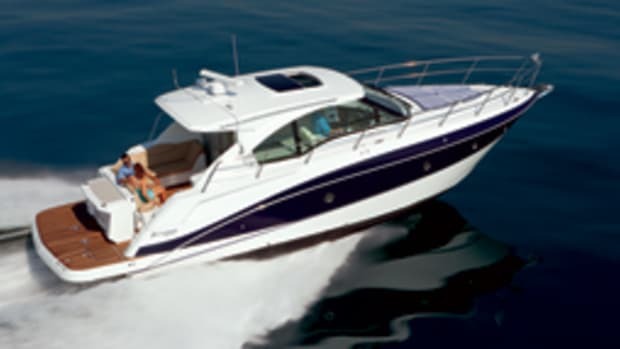 Powered with twin Volvo Penta IPS 600s, the 50 Cantius has a range of 310 nautical miles (with a 10 percent reserve) at 25 knots. 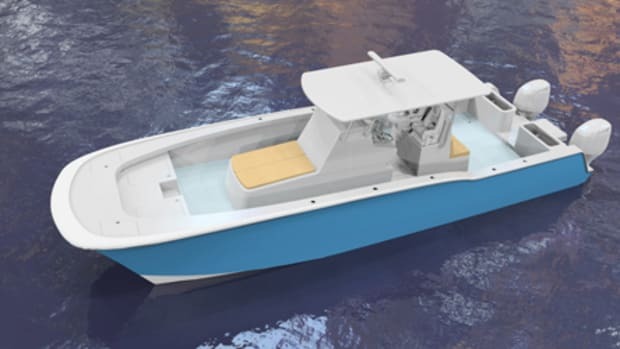 Cruisers designs the hull in-house, consulting with the naval architectural firm Donald L. Blount and Associates. “She’ll transition to plane seamlessly, with her center of gravity giving her stability and the IPS pushing the boat efficiently at a high cruise speed,” VanGrunsven says. The builder uses Facheris Design for the exterior. This article originally appeared in the March 2017 issue.